Brilliant read! This book is amazingly detailed and descriptive. I love how Rayner Tapia's vivid and colorful descriptive narrative brings her characters and worlds to life. She captures thesoul of young Tom's courage and determination as he struggles in battle against the evils that plague his universe. If you like fantasy and adventure, I would highly recommend this read! Great job Rayner Tapia!!! "Good over Evil, and that good always prevails, which at times is difficult through the many tribulations that occur. of when dreams are broken sometimes someone is always to blame. 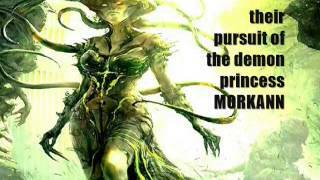 peace in the dominion land without their true Queen"
Book trailer click to Enjoy. The Last Enchantment, 'These were the planets beyond the darkness of space and time, where it would lose its continuity. The questions, which would intrigue the boys frequently was the reasoning that had led them to the distant planets? These questions befuddled their already daunted minds;But James, tried to make sense of this inscrutable mystery. The mystery of his Mother, Lindiarna, the good and the bad creatures they had met and would meet again. These along with the daring escapades they would inevitably encounter and Morkann, evil of all evil was darker than ever! The brothers Tom and James McGuire work to project an air of normality as they attempt a typical college life - growing stronger and more confident as they continue to keep vital information under wraps. 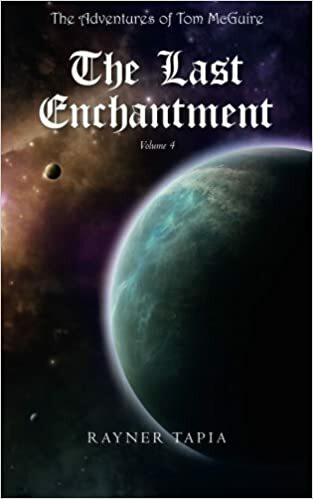 But as secret princes of the planet Oblivionara, their earthly lives are plagued by the pursuit of the demon princess Morkann, who seeks control of their mother's home planet for herself. While protecting Lindiarna's secret from earthly discovery, the siblings must also ward off increasingly brutal attacks from the forces of evil-hoping that their love for each other will be enough to light their way. In the fourth novel of The Adventures of Tom McGuire series, unforeseen turmoil strikes the McGuire family-as darkness threatens to destroy them once and for all. The wild lands from, "The Last Enchantment"
The land of light and hope - Oblivionara. Moradiya - The dark and demonic planet where light will never shine. strength to hold back the surge of evil in the dominion land. This dark sci-fi fantasy tale entices you to feel the fury. Amazon and in Kindle format. 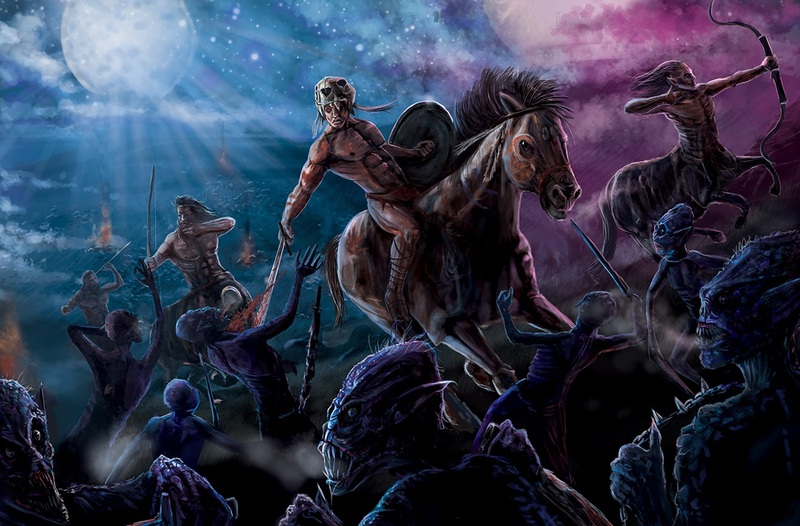 Aspero battles against the Ghouls whilst he leads his army to protect the dominion land of Oblivionara. The trickster below, frightens Tom and Jambalee. This is the son of the 'Rock God' who withdrew the wisdom of Iktomi due to his folly. Now a menacing character who is able to take any image as his own. Iktomi's face no longer resembles that of a dragon. He slowly initiated his transformation returning to the creature he once was. Tom and James were aghast watching the strange creature transmute. mottled ground. His eyes shrunk and shriveled into part of his robe. wrapped itself around its neck as a beaded and stone necklace. you to reclaim your throne, so that goodness will prevail." to her life whilst reflecting back to her childhood in the Gardens of Lost Treasures, surrounded by the palatial opulence in the grounds of Prytaneum.